Facebook has censored the picture of a painting depicting a crucified Jesus Christ wearing leopard-print briefs, Euronews has learnt. The art piece by Sicilian artist Giuseppe Veneziano, entitled "LGBT," is currently being exhibited at the Palazzo Ducale in Massa, in northwest Italy. It shows a crucified Jesus Christ wearing Dolce and Gabbana leopard-print underwear with "LGBT" — which stands for Lesbian, Gay, Bisexual, and Transgender — written on the cross in place of the traditional INRI. But Facebook removed a picture of the painting shared on its platform by Alessandro Bandoni, a former president of the Equal Opportunities Commission for the city of Carrare. It also briefly blocked Bandoni's account, arguing the content he shared "may not comply with its community standards." 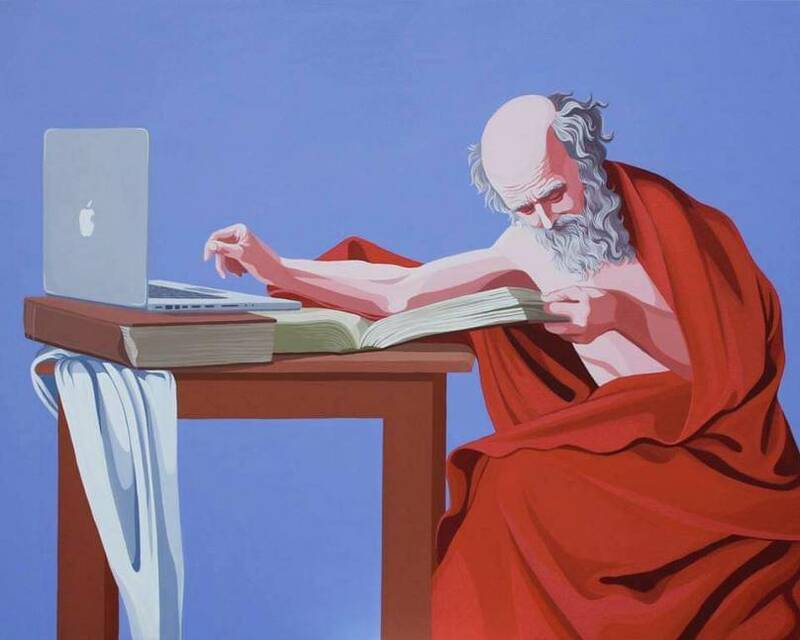 Veneziano's "Storytelling" exhibition includes several pieces featuring Catholic iconography including a painting reimagining the Last Supper in the age of smartphones and selfies and another updating Caravaggio's 1606 "Saint Jerome Writing" masterpiece to include an Apple laptop. 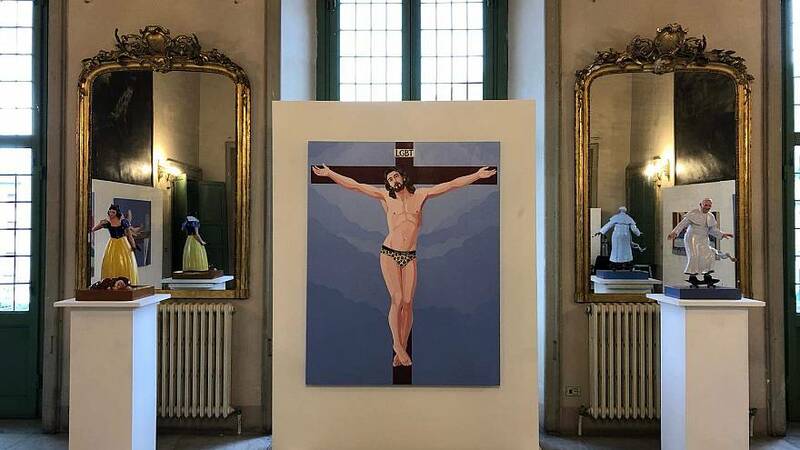 An online petition, addressed to Massa Mayor Francesco Persiani, is calling for the immediate removal of the "LGBT" painting, describing it as "an obscene and ideological offence to the faith and sentiment of millions." "We ask the city to immediately order its removal of the work," it adds. More than 1,100 people had signed the petition by Thursday afternoon. Veneziano, meanwhile, defended his piece as "a symbol of martyrdom that takes charge of all the injustices suffered by men, even those of homosexuals." "In 70 countries around the world homosexuals are subjected to the torture and punished with the death penalty. Jesus came to the world to save all men, white, back, yellow, prostitute, lesbian, gay... without making any distinction." "Storytelling" runs until February 24.